Princess Magnolia is having hot chocolate and scones with Duchess Wigtower when . . . Brring! Brring! The monster alarm! A big blue monster is threatening the goats! Stopping monsters is no job for dainty Princess Magnolia. 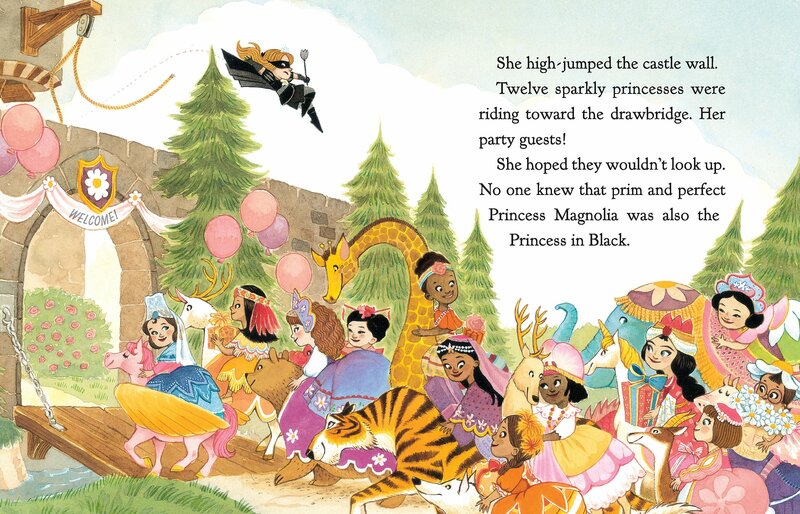 But luckily Princess Magnolia has a secret —she’s also the Princess in Black, and stopping monsters is the perfect job for her! Can the princess sneak away, transform into her alter ego, and defeat the monster before the nosy duchess discovers her secret? From award-winning writing team of Shannon and Dean Hale and illustrator LeUyen Pham, here is a humorous and action-packed chapter book series for young readers who like their princesses not only prim and perfect, but also dressed in black.